Happy Halloween everyone! 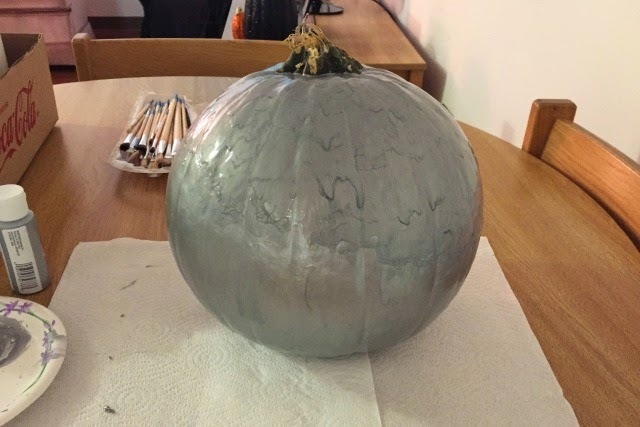 Since today is Halloween I thought about not posting this 'How To', but I realized that pumpkins (especially ones like this that don't look too Halloween-y) can stay around until Thanksgiving. 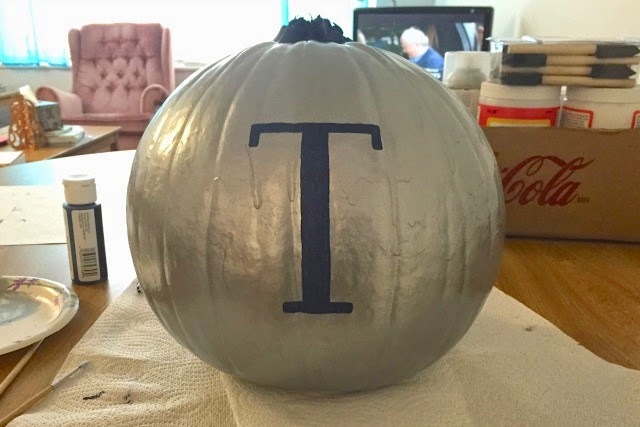 I've talked about my love for monograms on here before, so when deciding how to paint my pumpkin this year a monogram was a no brainer! I have to be honest that I was very excited with how it came out because it's almost exactly what I had pictured in my head. 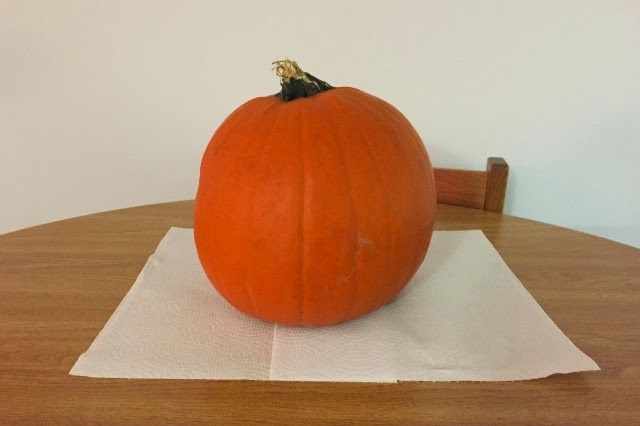 This pumpkin makes for a chic decoration and looks very pretty in the center of a table (which is where I have mine!). 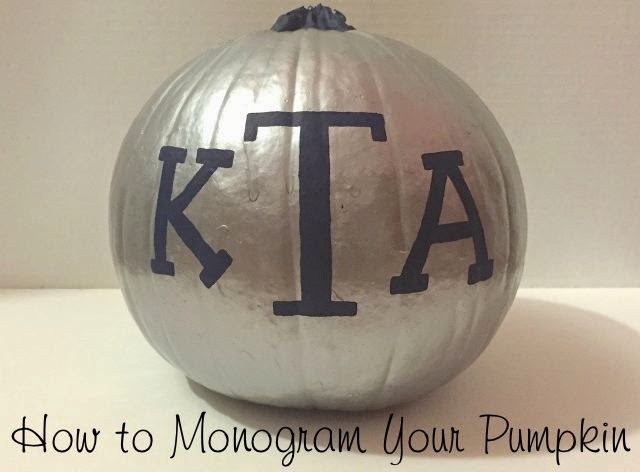 Here's how you can make your own monogram pumpkin. 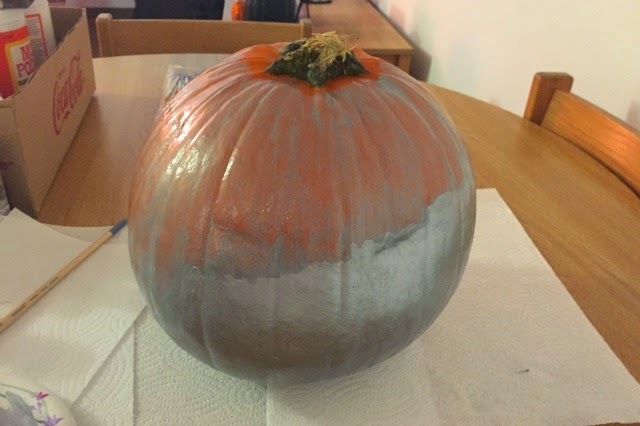 -Flip the pumpkin over and paint the bottom half with the color you've chosen for the background using a sponge brush, allow to dry. 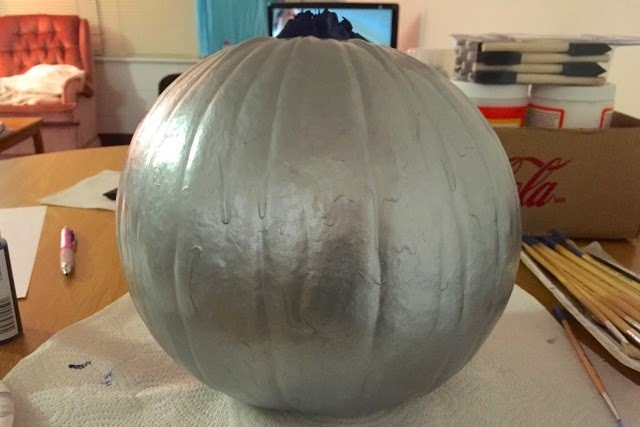 -Paint a second coat, try to do it thicker then the first coat to really cover the pumpkin, and allow to dry. 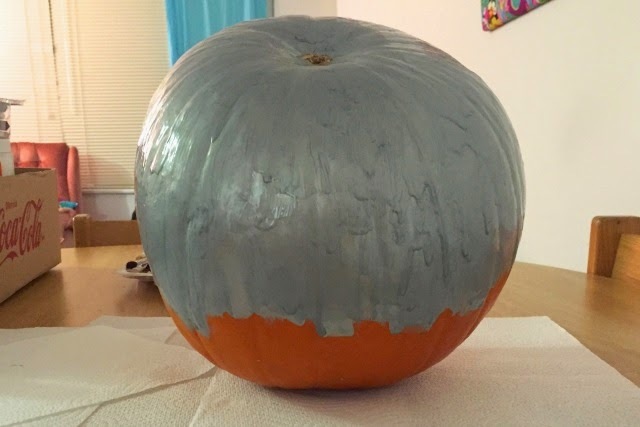 -Once the bottom of the pumpkin is completely dry, turn over and paint the top half, exactly as you did the bottom half (with the two coats). Do not paint the stem. Allow to dry. 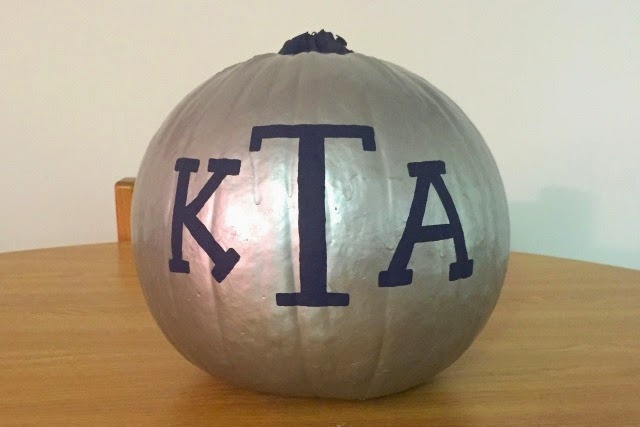 -Once the pumpkin is completely dry, take a small paintbrush and carefully paint the stem with the color you want the monogram. 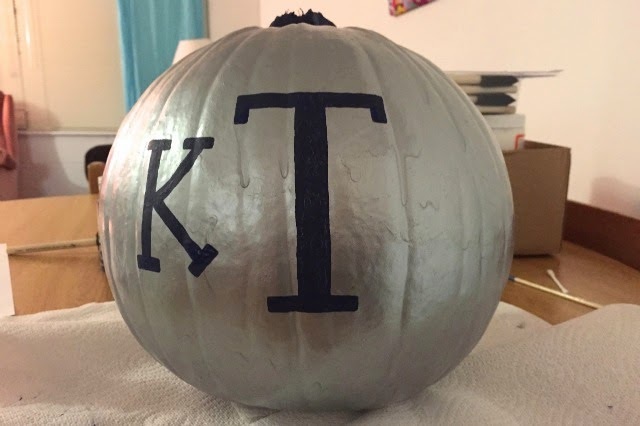 -Paint the initial of your last name rather large in the center of the pumpkin. You need to paint the middle one first, using a small paint brush and the color of your choice, so you can use it as a gauge for where to put the other letters. Allow to dry. -Paint the side letters, with a small paintbrush for precision, one at a time allow to dry (The letter to the left is the letter from your first name, and the letter to the write is the letter from your middle name). -When the letters are dry carefully go over them with a second coat of paint. I hope that everyone has a wonderful and safe Halloween! Hopefully Monday I will be able to post some pictures from my Halloween. Have a great weekend! Today I'm linking up with Style Elixir and Oh Hey Friday. "I participated in an Influencer Activation on behalf of Influence Central for Living Proof. I received product samples to facilitate my review and to thank me for my participation." A little over a month ago I told you all about the Living Proof products that I had just begun using. (If you missed that post you can check it out here!) Now that I have been using the PhD Shampoo, PhD Conditioner, and PhD 5-in-1 Styling Treatment for a few weeks I can honestly say that I love these products even more than I did initially. The biggest thing I've noticed since I started using the Living Proof products is how soft my hair has become. I've always had somewhat soft hair, but using these products regularly has made it super soft and silky. With the change in texture I've also noticed my hair looking more glossy and sleek too. I feel like these products have helped to make my hair even healthier than it was before I began using them, which is something I love. I'm really big on treating my hair well and making sure it stays healthy, so products that help with this are a must have for me. The PhD products have also helped to cut down on the washing and styling of my hair, which I think is part of the reason my hair is looking so much healthier. I've even noticed that after drying my hair is much easier to flat iron and holds its style better than in the past. After I wash and condition my hair with the PhD Shampoo and PhD Conditioner I towel off my hair and apply a pea size amount (I've learned a little goes a long way with this and that anymore makes my hair greasy) of the 5-in-1 Styling treatment, which is what I feel has been helping to hold my style. I definitely don't need to use the flat iron as often, and that is another thing that is contributing to my healthier hair. I mentioned in my last post about Living Proof how much I love the scent of the products, and I feel like I need to talk about it again! Everything in this line smells so pretty and my hair actually holds the scent - something it usually doesn't do. After a day or two my hair still has the scent of the products, which is important when you're only washing your hair every few days. The beautiful smell only adds to the experience of using Living Proof on my hair, and makes it so luxurious. I have to say that I am also surprised at how long the product lasts. When I first received everything I was a concerned that the bottles for the PhD Shampoo and PhD Conditioner looked a bit small and would not last through the month. However, I am happy to say that at this point I still have about half a bottle of each left, and I have been using the same bottles for over a month. I've learned that a small amount of product really does a lot, especially when it comes to the Conditioner. I love these products so much that I cannot stop talking about them with my friends and family. After my last post I had so many questions about the products! Everyone I speak to wants to know how I like the products and see how it has transformed my hair. 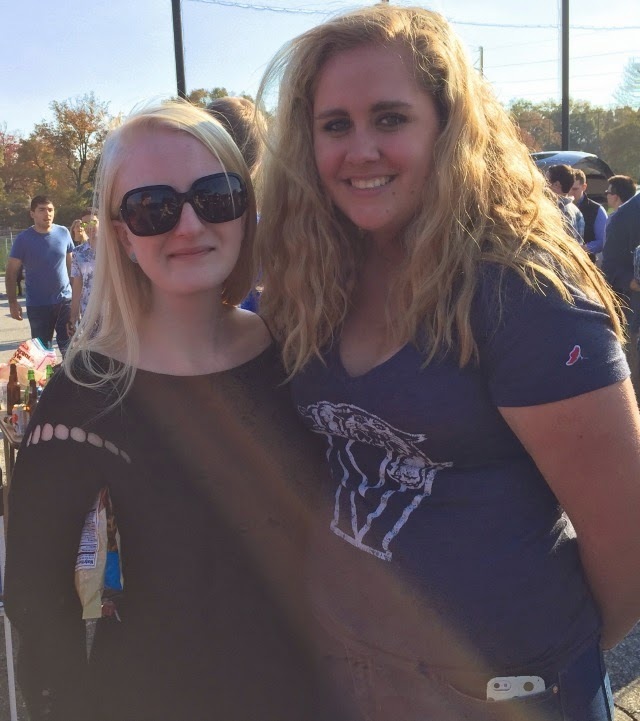 This past weekend I got to show off my styled hair at our homecoming tailgate. I was having a perfect hair day thanks to the PhD products, and got quite a few compliments on it! Before using Living Proof my hair was not as shiny! In this picture from the weekend you can really see how healthy and shiny my hair looks! 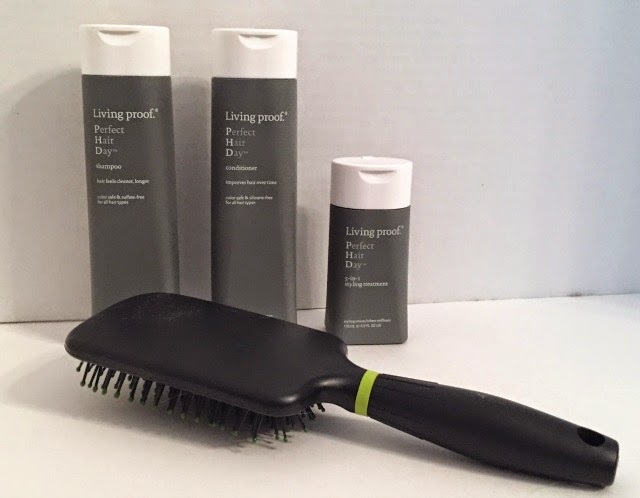 I highly recommend trying the Living Proof PhD products. I have even recommended them to everyone that's been asking me about my hair! 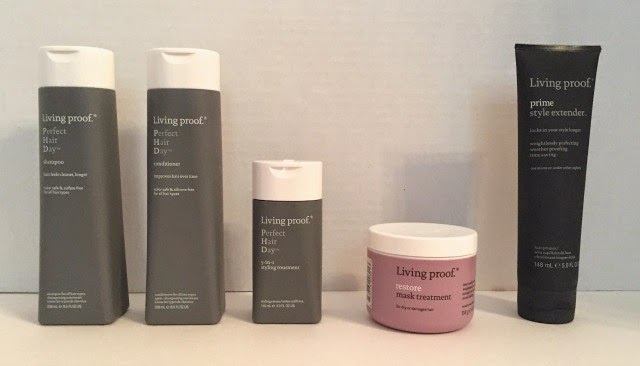 If you're looking to purchase any Living Proof products order from their website and enter the code NOV2014 at checkout. From today until November 8th if you enter this code with an order of $20 or more you will receive a free travel size PhD 5-in-1 Styling Treatment, free samples, and free shipping! How can you turn down a deal like that?! Homecoming Weekend is very special at my school. In addition to being a weekend for alumni to come back, it is the kickoff of the basketball season - our biggest sport. The Friday night of Homecoming Weekend is Hoopsmania. Hoopsmania is a larger than life pep rally to kick off the season and get everyone super excited for all that's to come over the next few months. 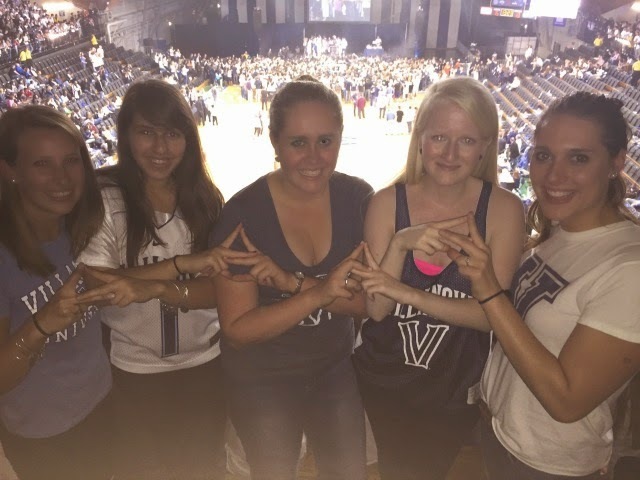 This is going to sound so cheesy, but I find Hoopsmania to be one of the most amazing things I've experienced during my time at Villanova. The amount of school spirit and pride that happens during those few hours is off the charts. You can feel the electricity that the excitement creates, you can see thousands of people come together for one thing they all love, you can hear the voices become one as they cheer. Even in describing it I feel like I'm not doing it justice, it's truly one of those things that you have to experience to fully understand what an incredible thing it is. We had a truly amazing season last year, which makes starting off this year that much better. One of my good friends and I have a tradition of going to Hoopsmania together every year. This year we went with a few other friends and ran into even more while we were there. I loved getting to see everyone and it always makes for a great photo opportunity with everyone in their school gear. The one unfortunate thing though is that it is dark so those pictures don't always necessarily come out the best. After Hoopsmania I went back to my apartment where several of my sorority sisters were hanging out. We were all tired so we hung around having wine & making some festivities for the next day. It was great catching up, chatting for hours, & just being around people I hadn't seen in such a long time. I love having company & people staying with me, it's like a giant sleepover & just an absolute blast. We woke up kind of early the next morning & headed out for Starbucks & breakfast. After that a few girls came over & we got all of our stuff ready to bring to the tailgate that we were going to. 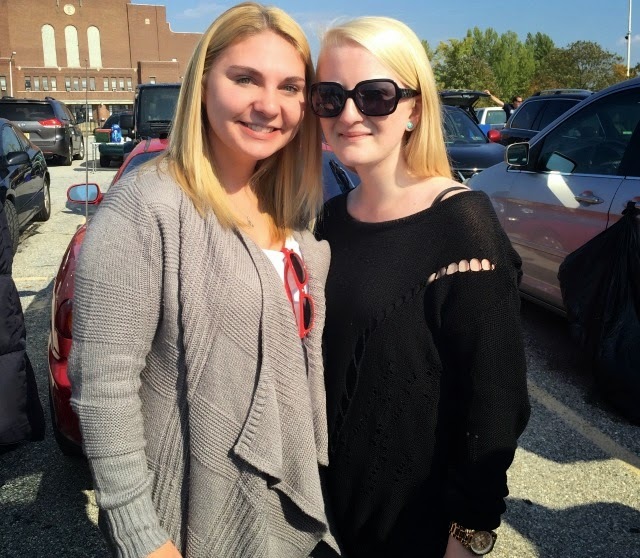 Once we hung out for a bit, we headed over the the parking lot so the Homecoming fun could really begin. 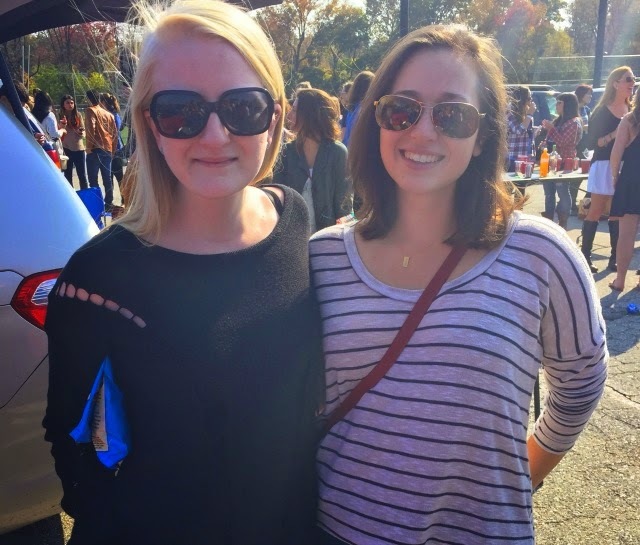 The tailgate was one giant party where I got to see even more people that had come back for the weekend. 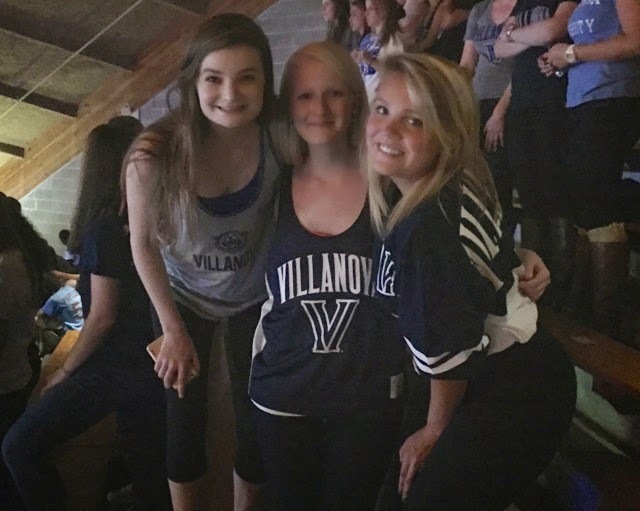 We hung out at the tailgate, went to check out the events going on on our Main Campus, and then went to the football game for a bit. It was chilly at the game so we didn't last long, but it was fun to watch while we were there. We also ended up winning, which I was thrilled about. There's something so special about a win during Homecoming! This weekend was such a perfect weekend. 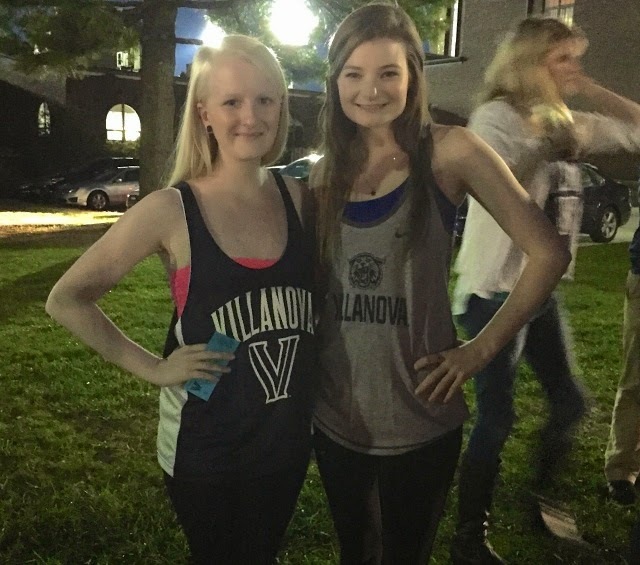 This weekend I was reminded why I wanted so badly to go to Villanova and why I love it here so much. This weekend I was reminded that no matter how hard things are or what happens I am so lucky to get to call such an extraordinary place my home. 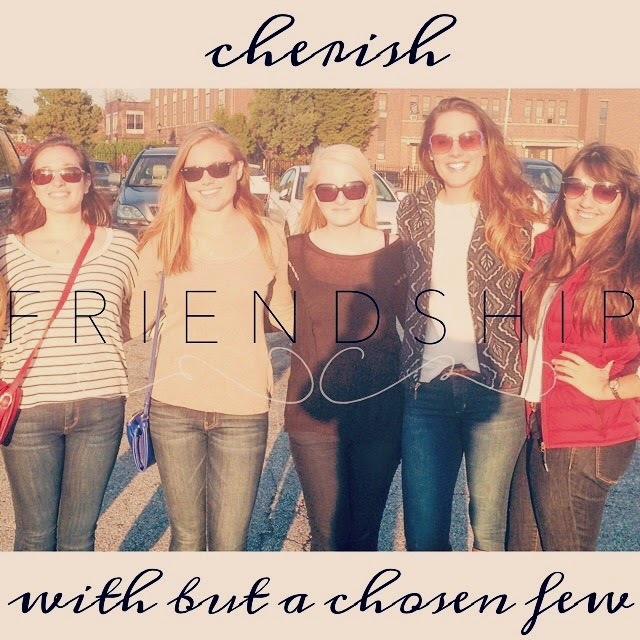 This weekend I was reminded why joining Alpha Gamma Delta was one of the best decisions I have ever made. This weekend reminded me that I have the most amazing friends. This weekend was wonderful and reminded me how much I love school and how happy it makes me. 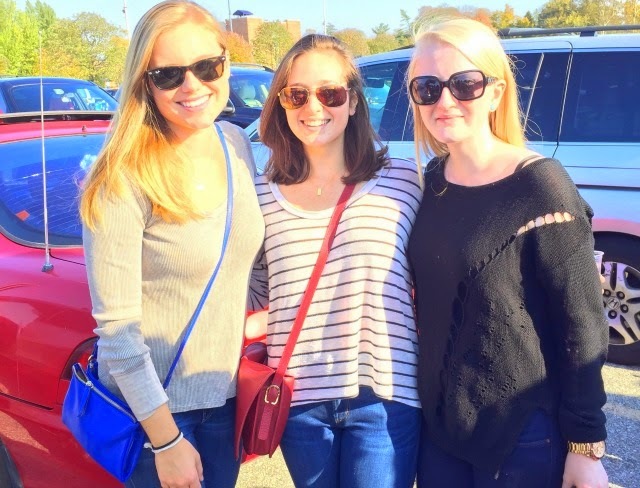 "My sisters remind me, by their very steadfastness, that truth, beauty and goodness exist in the world, and that, no matter what there are and always will be people loving people through thick and thin." Thank you to everyone who made this weekend so memorable. I can't wait for next year. I confess that I've been a bad blogger this week. I confess that I am so excited for this weekend! It's Homecoming Weekend and the kick off for basketball season at school - I can't wait! I confess that I am so happy that it is finally sunny outside. The gloomy weather this week has been a big downer and it's nice to finally have some gorgeous weather! I confess that I have been working hard on decorating my pumpkin I got for Halloween and can't wait to share it on here next week. I confess that I can't believe Halloween is next week! It feels like October has flown by! 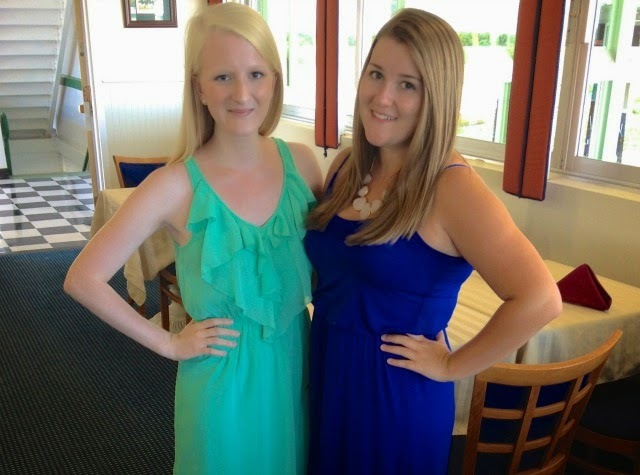 Today I'm linking up with A Blonde Ambition and Five on Friday.